The Indian Navy has blocked real estate development in large swathes of Mumbai's eastern suburbs, owing to which an estimated 300 housing projects have been stalled. The Brihanmumbai Municipal Corporation stopped giving construction permissions after the Navy objected to building activity around its installations. According to housing department officials, Maharashtra would follow the blueprint provided in the Central government's Real Estate (Regulation and Development) Act, 2016. The state is planning to publish the final rules of the law this month so that it could be implemented from May 1. According to the officials, the file for publishing the rules is in the final stages of approval. The Centre is mulling an exemption from stamp duty for PM Modi's affordable housing project. Union minister for urban development and housing M Venkaiah Naidu said that his ministry has written to state governments to exempt affordable houses from stamp duty. Stamp duty, which varies between four per cent and eight per cent of the transaction value, is fixed by the state government. The Gautam Budh Nagar district administration held a meeting with officials of Noida and Greater Noida authorities, officers of the stamps and registry department and developers to get homebuyers to complete the registration process of properties. According to district administration officials, there are about 15,000 properties in Noida and 15,400 residential units in Greater Noida that need to be registered. 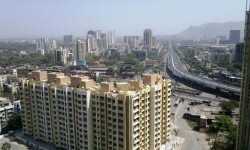 Would Building Codes Raise The Quality Of Homes In Noida?